This is Page 1 of 3 - the best of July 2014! 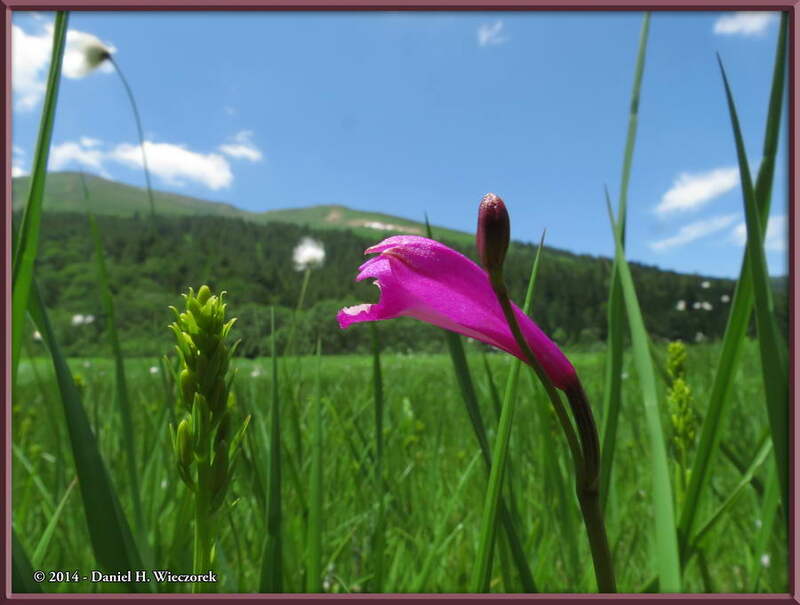 This page begins and ends with July 12th and a trip to Oze National Park. 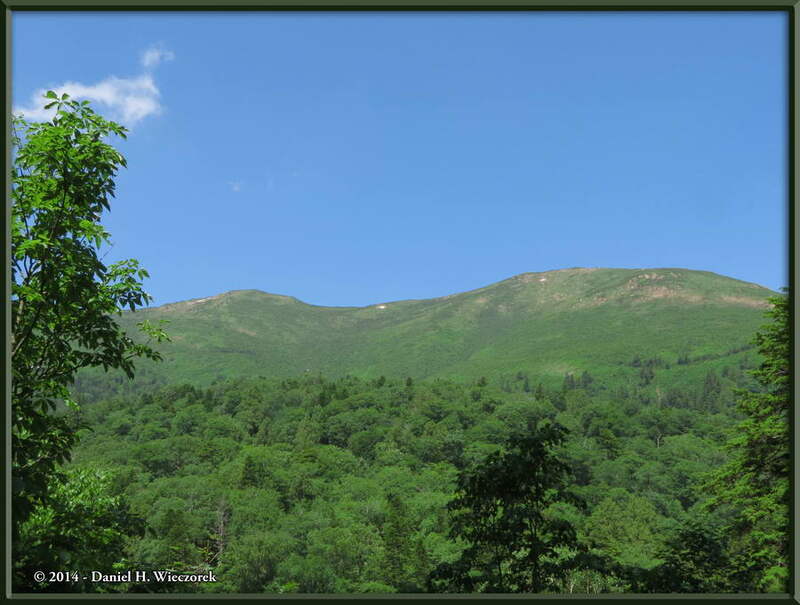 We camped the night in the park and continued from the campground on July 13th. This page does not even include all of the photos from July 12th due to the beautiful weather great scenery and whatever. Between the 2 of us we KEPT 374 photos! Don't worry though, we'll show you only a small fraction of those 374 which we kept. Click on any thumbnail to begin. On the morning of July 12 Kazuya and I got up at 3:15 AM, got ready and left for our local train station at about 4:00 AM via bicycle. We bought breakfast and lunch stuff and then took a local train at 4:37 AM to Tokyo Station. From there we rode a Shinkansen (Bullet Train) to Takasaki, from where we took local trains to Numata. 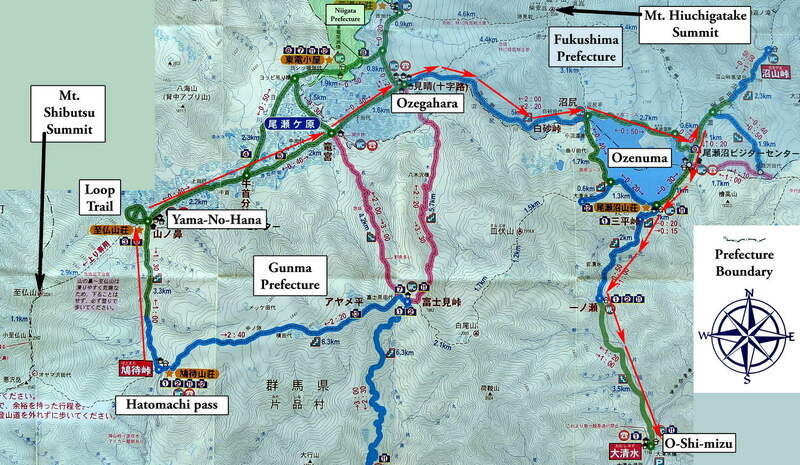 Then we rode 2 different buses and arrived at the trailhead at Hatomachi Pass at about 10:00 AM. Then we started hiking! 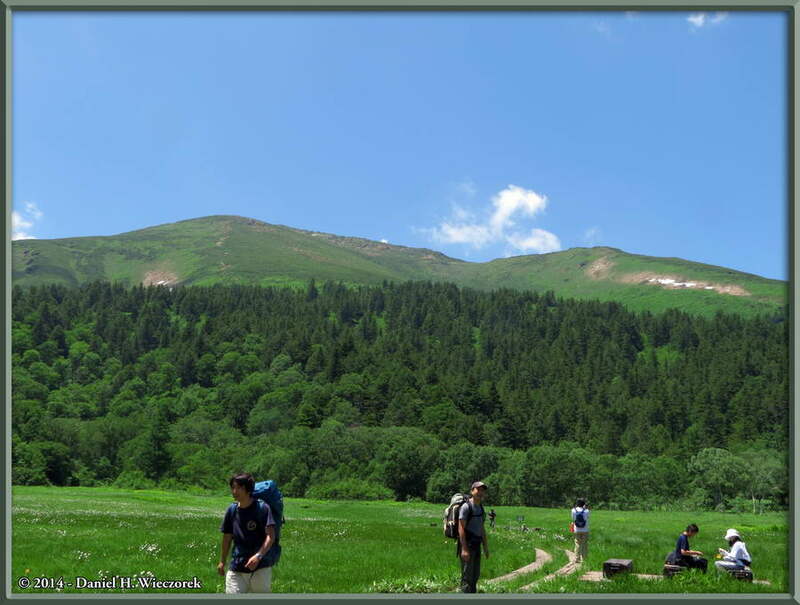 The first shot in this row shows the starting point for the hike - Hatomachi Pass (see map, link below) - in Oze National Park. 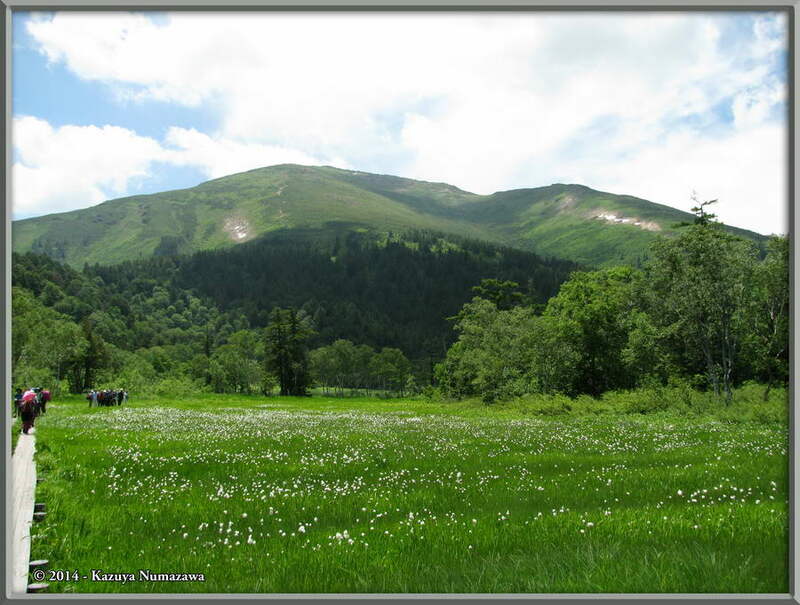 We have visited Oze National Park several times in the past, most recently in August 2012. 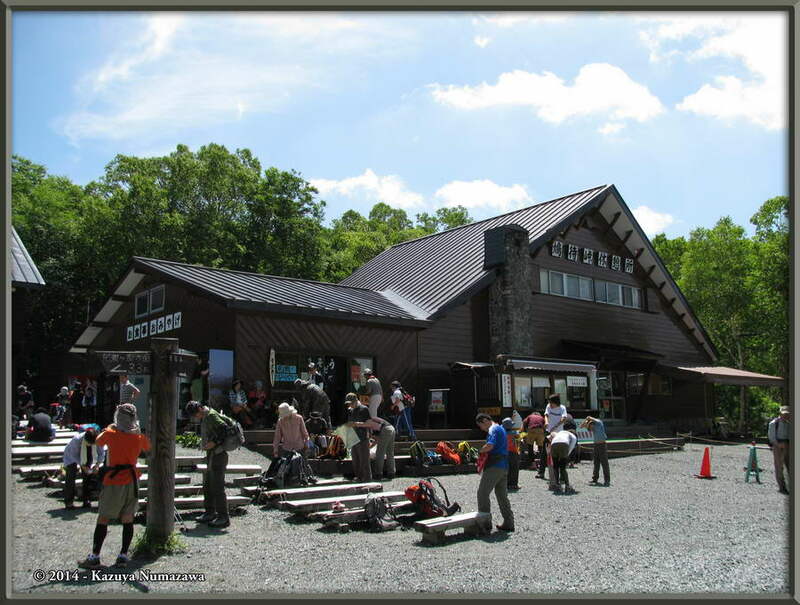 We also visited there in May 2012, July 2011, July 2010 and in June 2010. 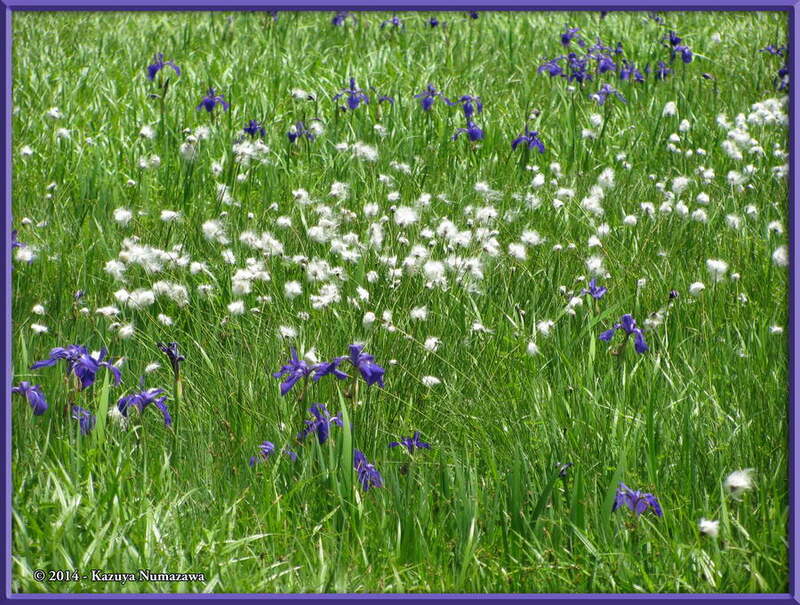 If you want to see some of those photos please go to the "All Photos List" (via link at bottom of this page) and click on those months. 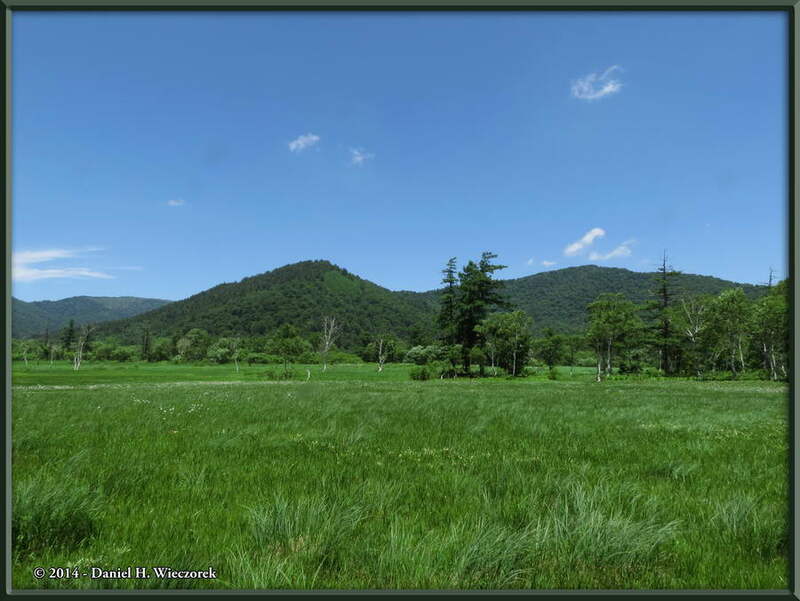 The second photo in this row shows Mt. Shibutsu from the trail as we hiked to the very first hut. We have climbed Mt. Shibutsu two times, and in fact it is the subject of our Climbing a Few of Japan's 100 Famous Mountains - Volume 7: Mt. Shibutsu book. 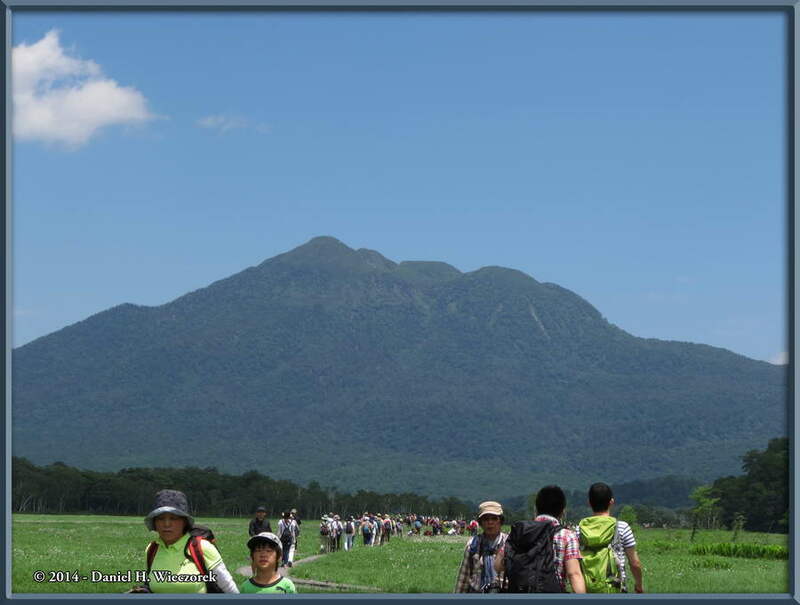 The third photo shows Mt. 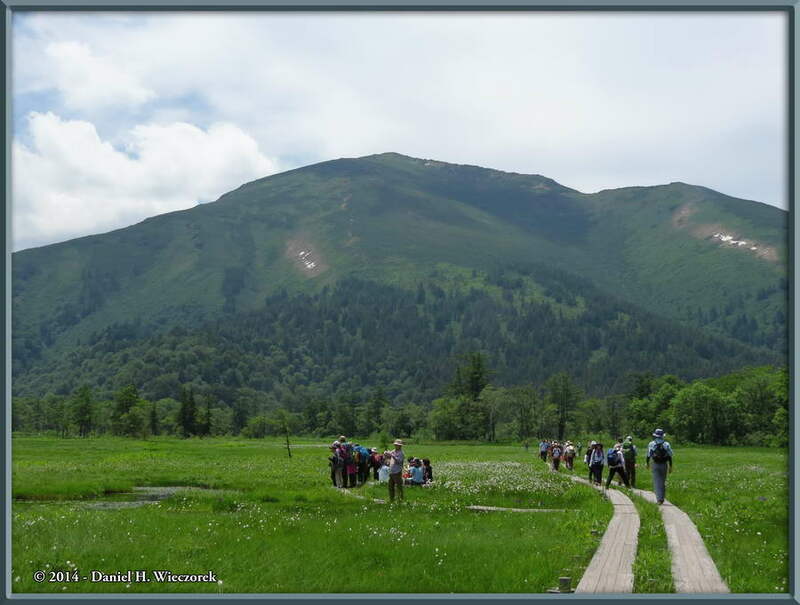 Shibutsu and Kazuya (near center of photo) as we hiked around the loop trail at Yama-No-Hana (see map just below). 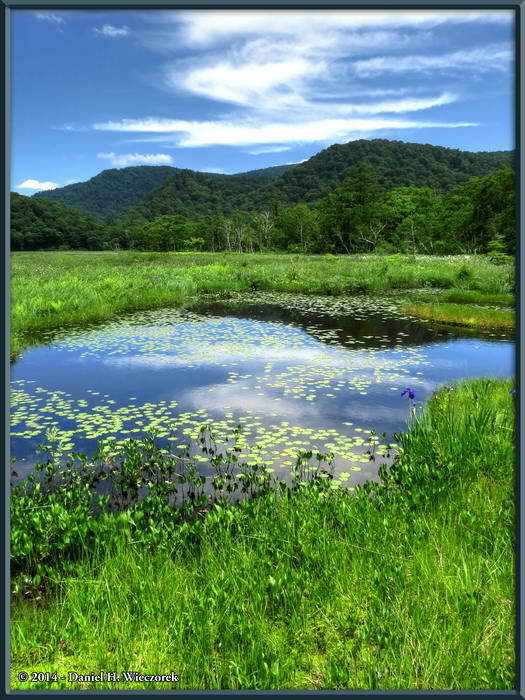 Here is a large version of an Oze National Park Area Map, which will open in a new window or tab. You can refer to it when you see place names while reading through the row text. CLICK FOR MAP (new window or tab). Our route is shown on it with red arrows and the arrowheads indicate our direction of travel. 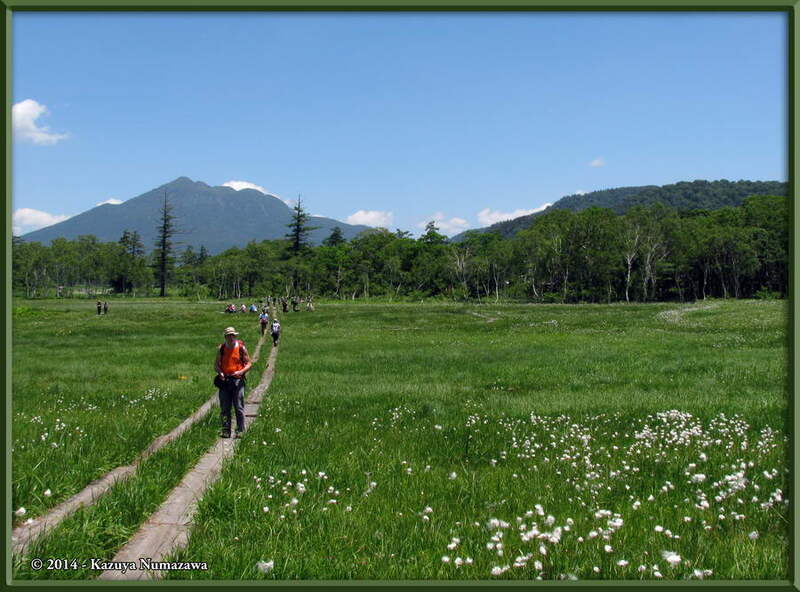 On July 12th we hiked from Hatomachi Pass to Ozegahara. 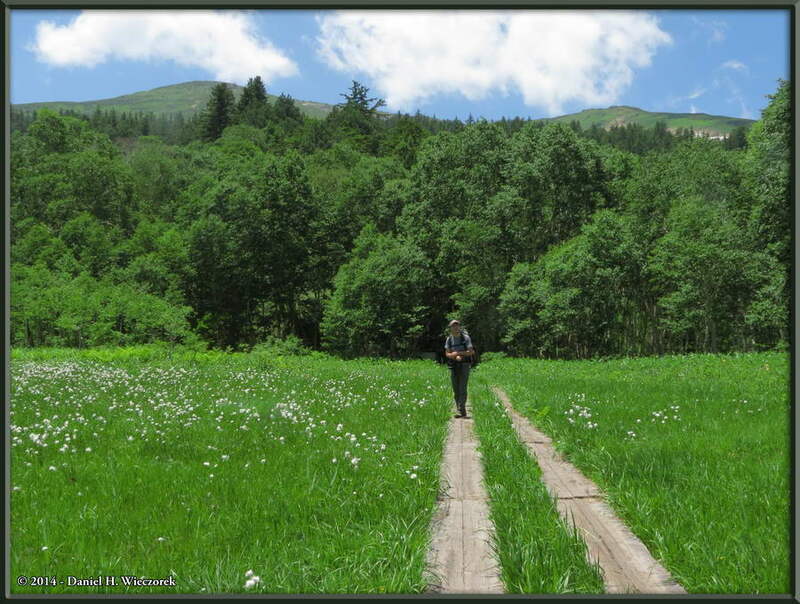 On July 13th we hiked from Ozegahara to O-Shi-mizu. 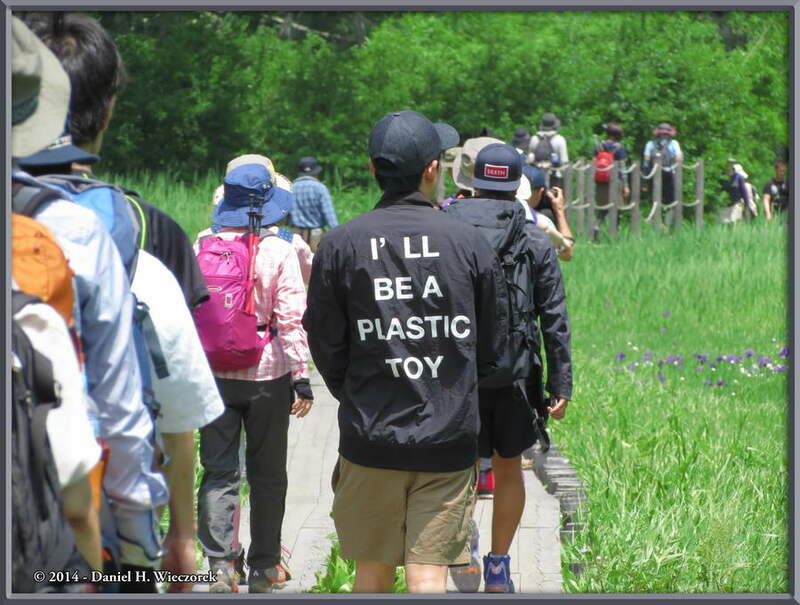 The first photo in this row is a nice scenery shot as we hiked around the loop trail at Yama-No-Hana (see map). 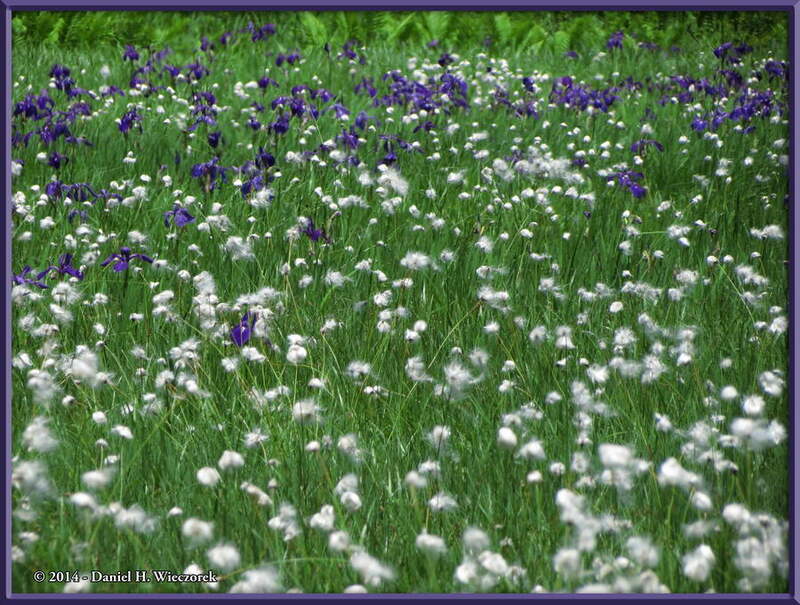 The 2nd shot shows Eriophorum vaginatum (Cottongrass) and other flowers. 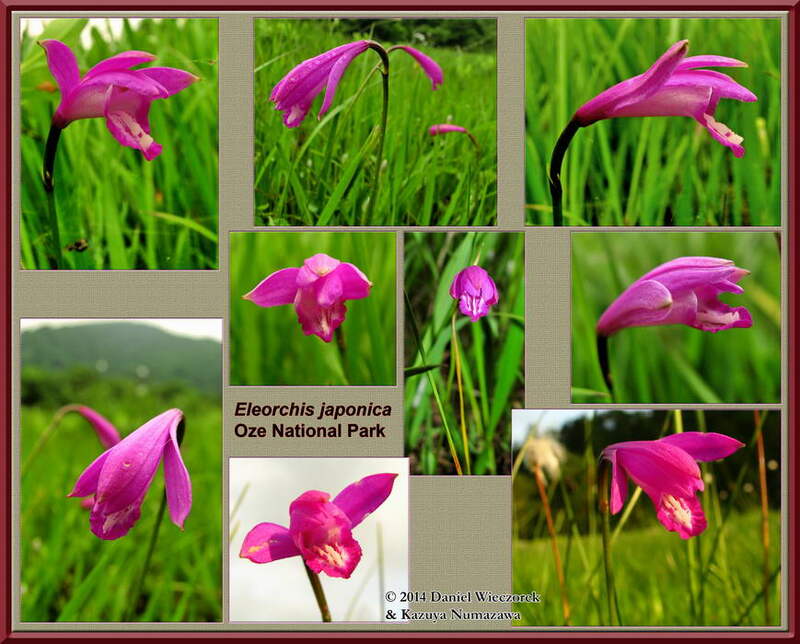 The third shot is Eleorchis japonica - an orchid - with Mt. Shibutsu in background. The first shot in this row shows Andromeda polifolia. 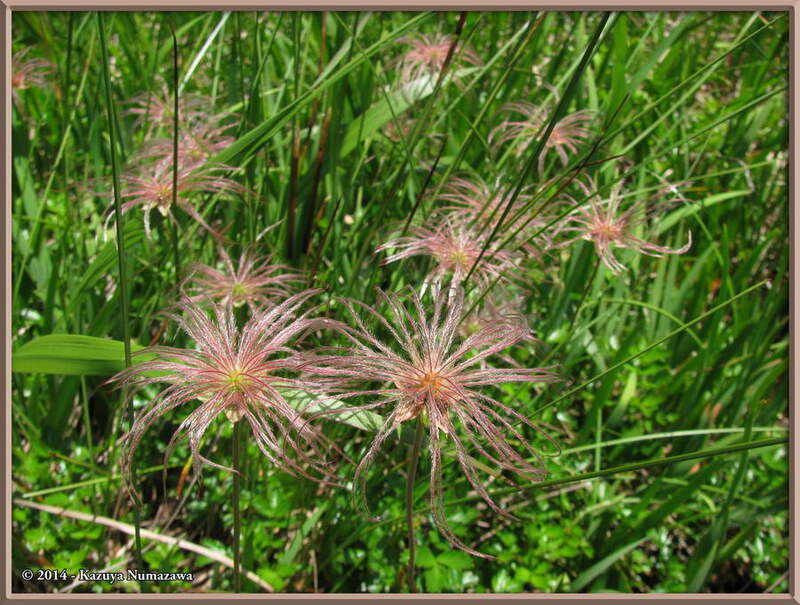 The second shot is an example of Geum pentapetalum and the third shot shows Mt. 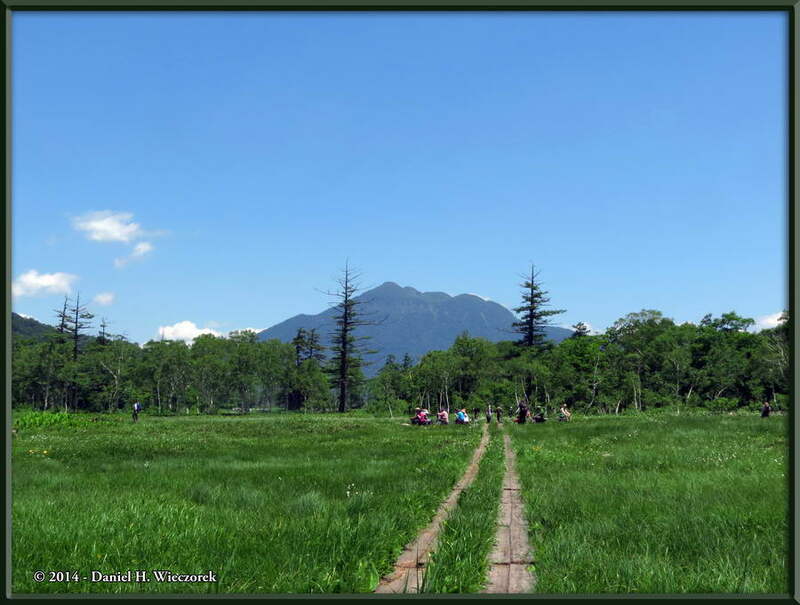 Hiuchigatake between those 2 big trees. Mt. 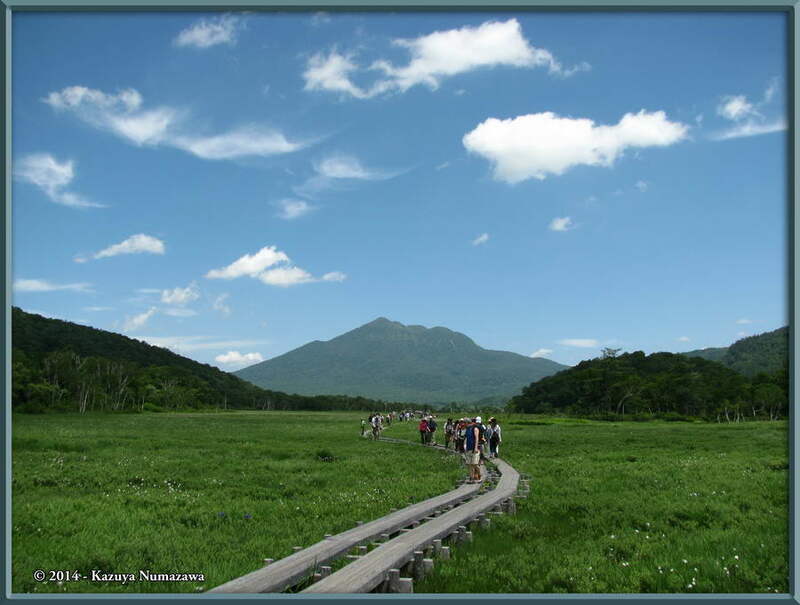 Hiuchigatake is at the opposite end of Oze National Park (see map, link above). 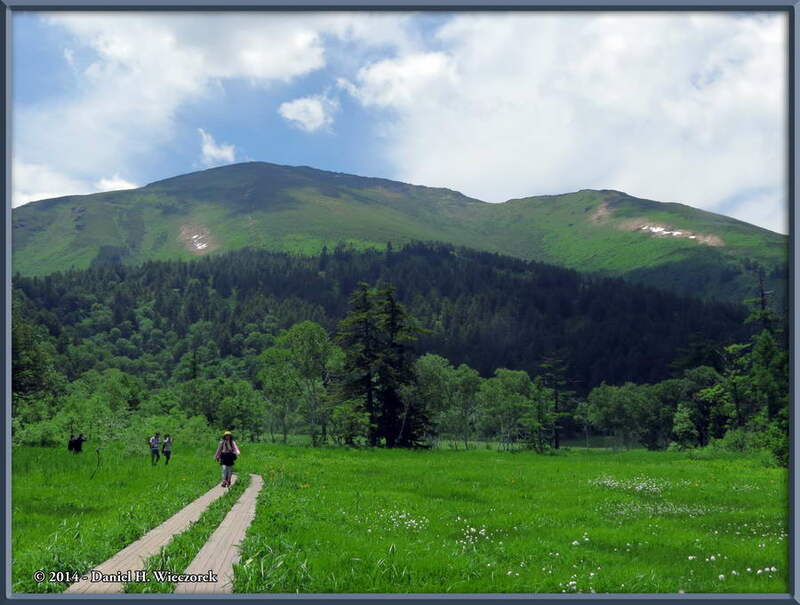 At 2,356 meters (7,730 ft) it is the highest mountain in the Tohoku Region of Japan and also one of Japan's 100 Famous Mountains. We have not yet climbed it, although one time we had a plan to do so - but the weather turned bad on that particular trip and we scratched that part of the plan. In first position in this row is a nice scenery shot. In 2nd position is another shot of Mt. 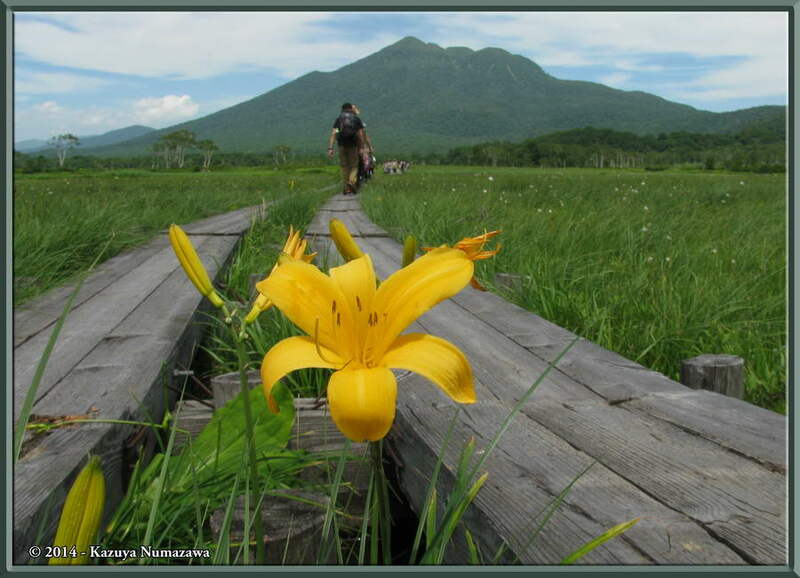 Hiuchigatake - with me standing on the boardwalk. In 3rd position is a zoomed in shot of Mt. Hiuchigatake. We're going to hike all the way down to that end of the National Park, so please be prepared to see an abundance of shots of Mt. Hiuchigatake. 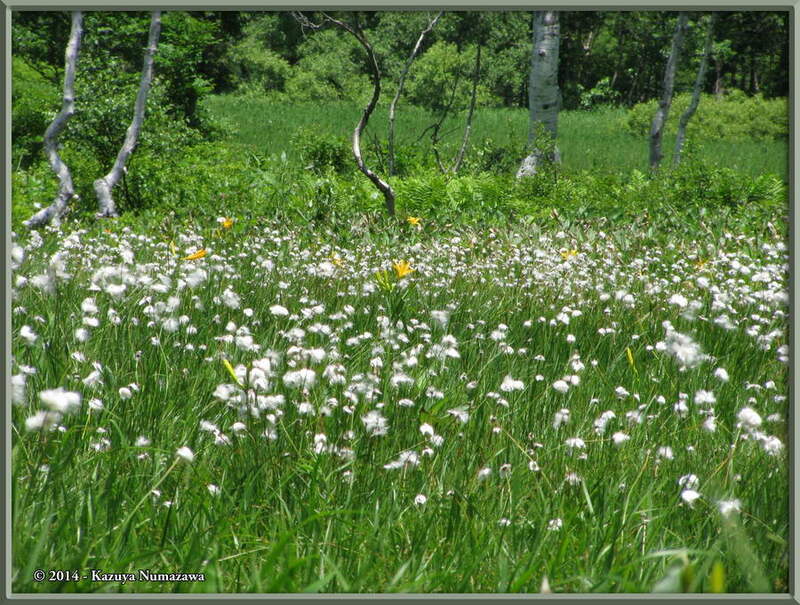 In this row is an abundance of Cottongrass (Eriophorum vaginatum) and also a lone Hemerocallis dumortieri var. 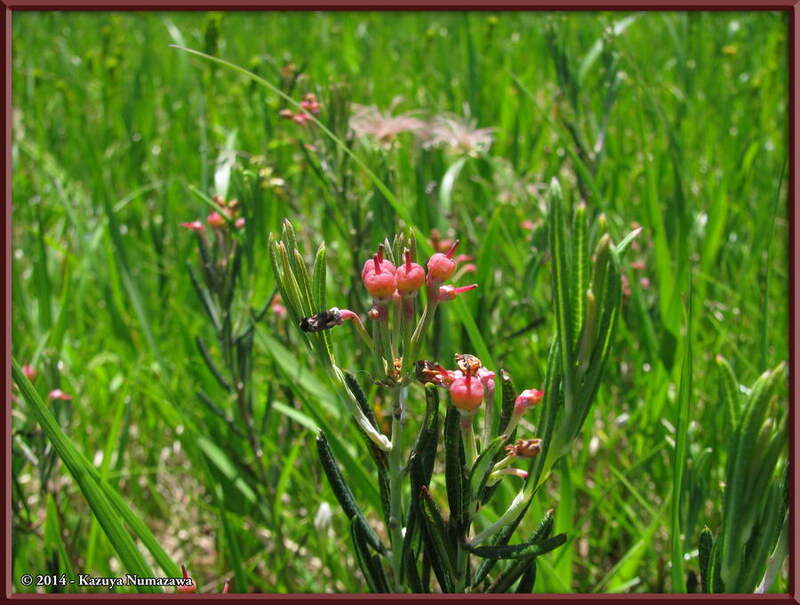 esculenta Lily. 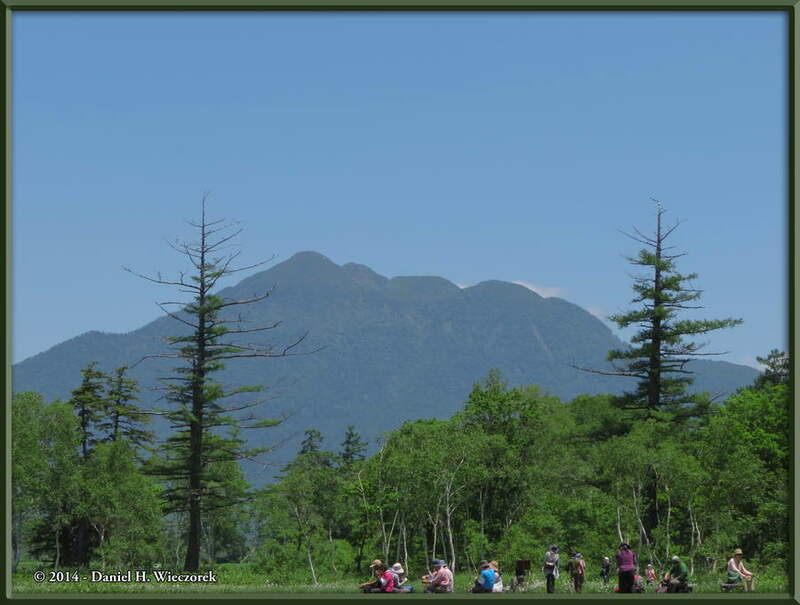 In the center shot, that's Kazuya, with Mt. Shibutsu behind him. 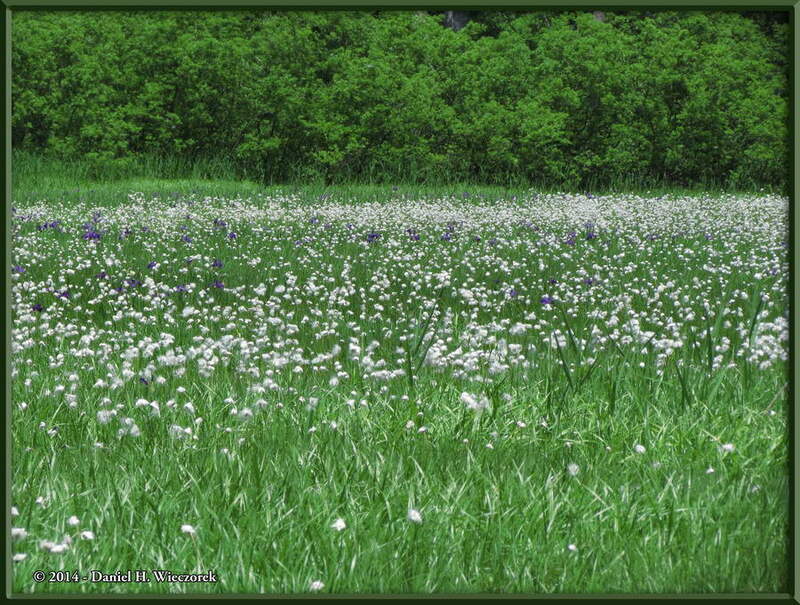 Now we have finished up looking around and shooting photos on the Loop Trail and we are headed out into the main marsh. 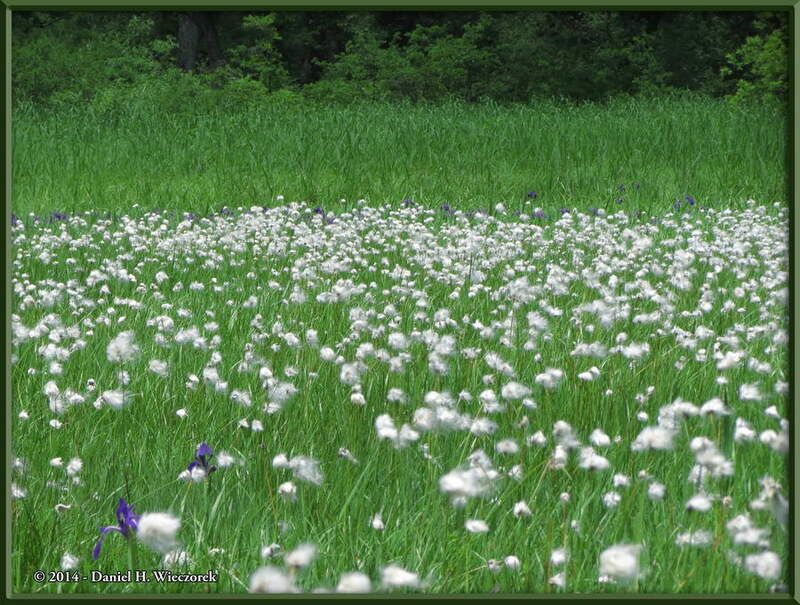 In this row is even more Cottongrass (Eriophorum vaginatum). 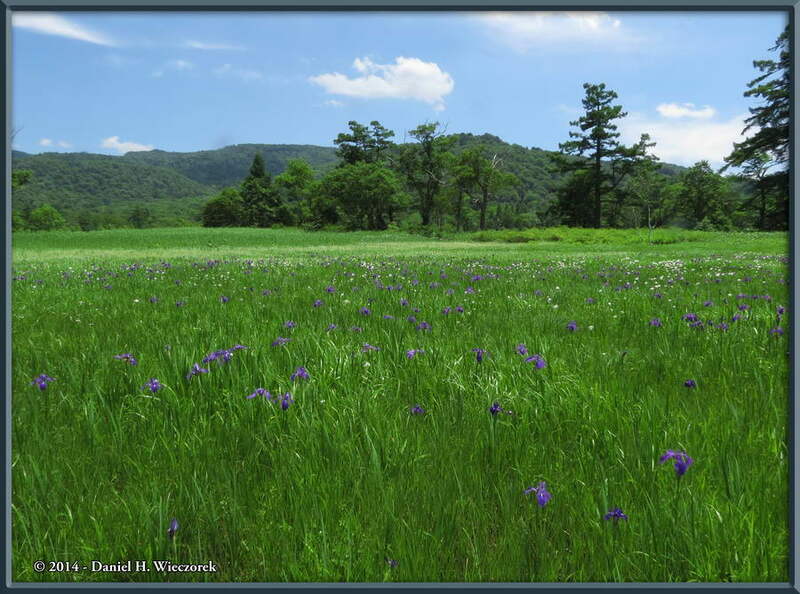 In the second and third shots you can also see a great number of Irises (Iris laevigata). 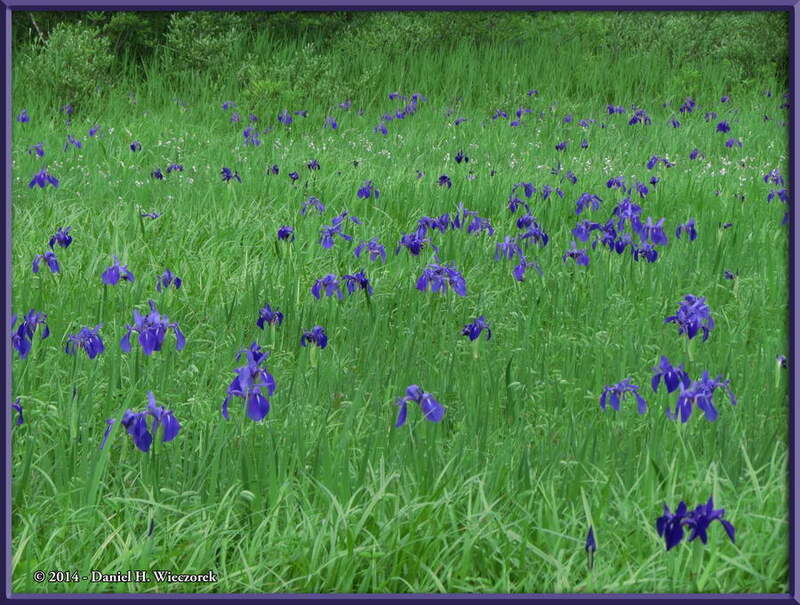 The first shot in this row is zoomed into that Iris (Iris laevigata) patch. 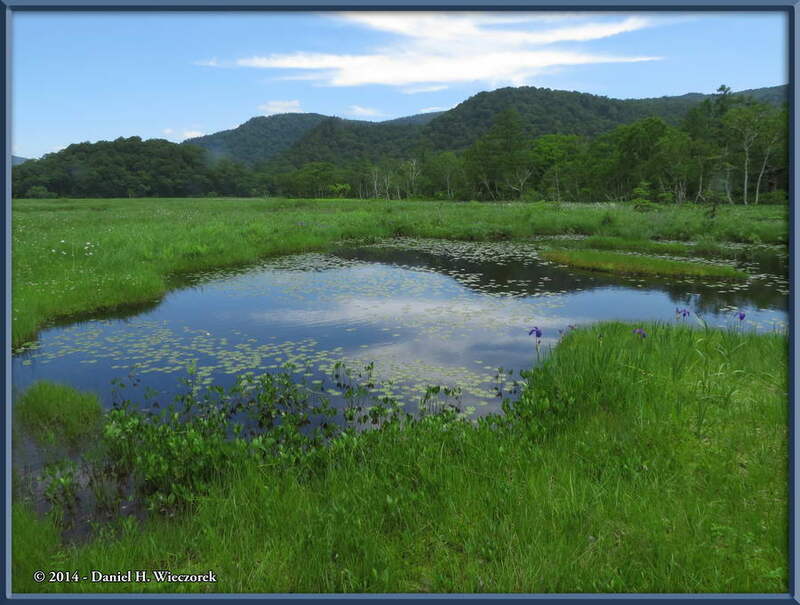 The 2nd and 3rd shots show the marsh with Mt. Shibutsu back there too. 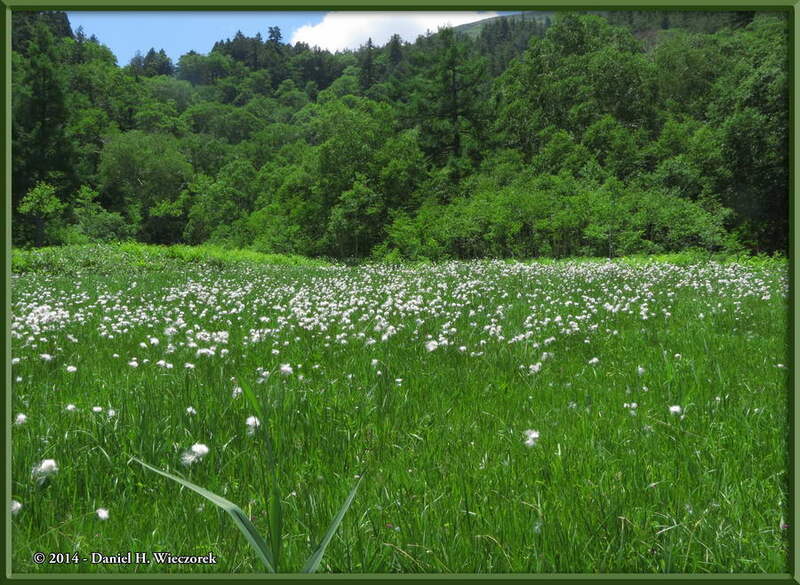 The first shot in this row shows the marsh and a great deal of Cottongrass (Eriophorum vaginatum). The second shot ---- HUH? Does he know that those words mean? The 3rd shot is another shot of Mt. Hiuchigatake. 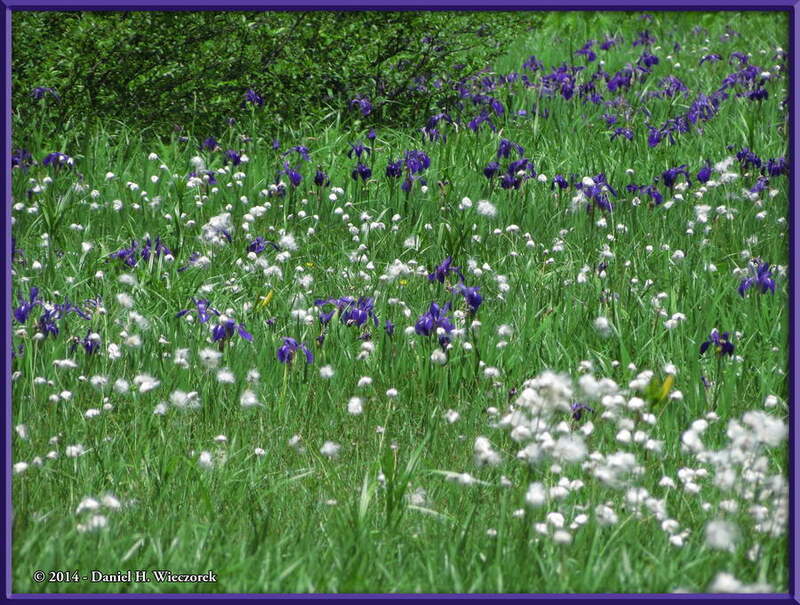 Here are 3 photos of Cottongrass (Eriophorum vaginatum) and Irises (Iris laevigata). The first shot here is a nice one of scenery. 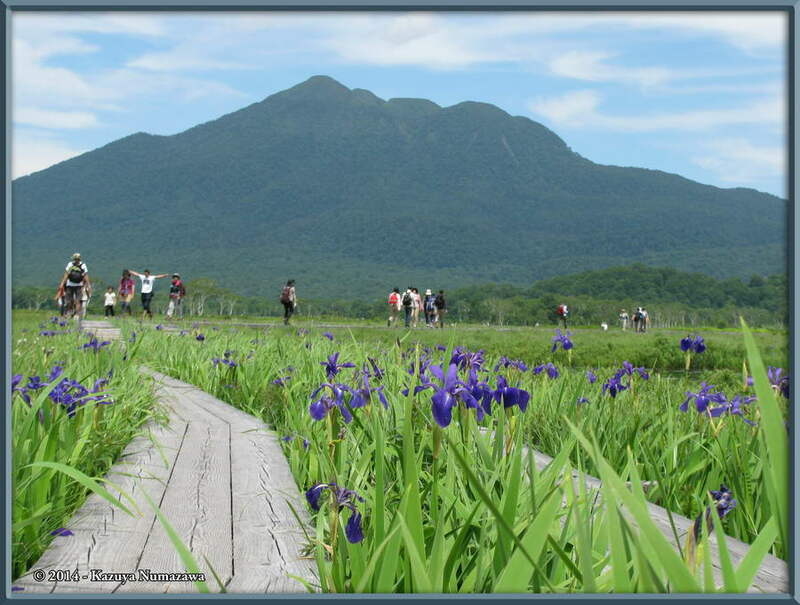 The 2nd shot shows Kazuya taking a photo of Mt. 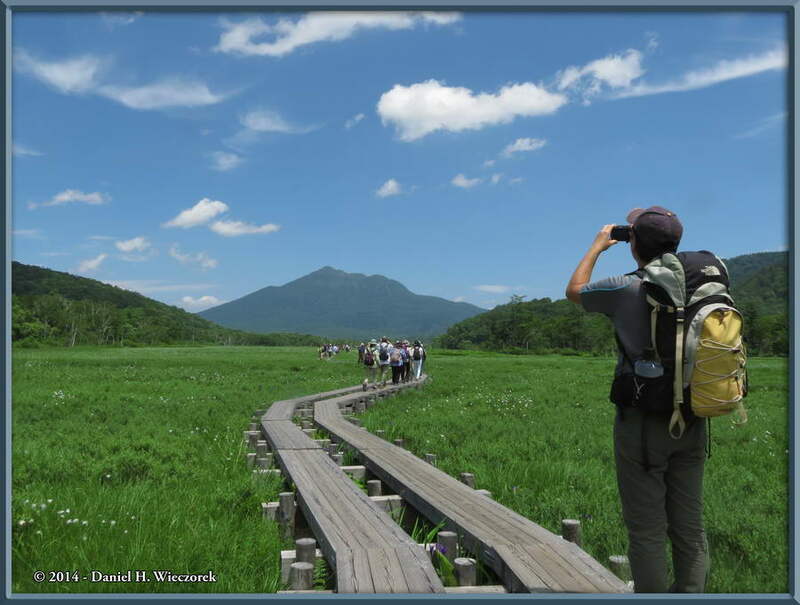 Hiuchigatake and the 3rd shot is one of the photos he took from this spot. The clouds are becoming very attractive. What a terrible crowd of people here today! Need we tell you that is Mt. Hiuchigatake? 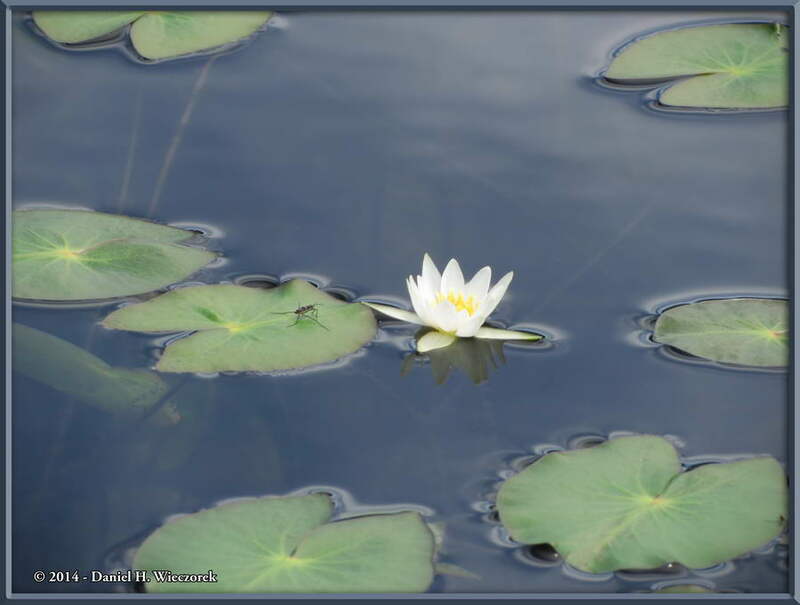 The 2nd shot is a nice white Water Lily. 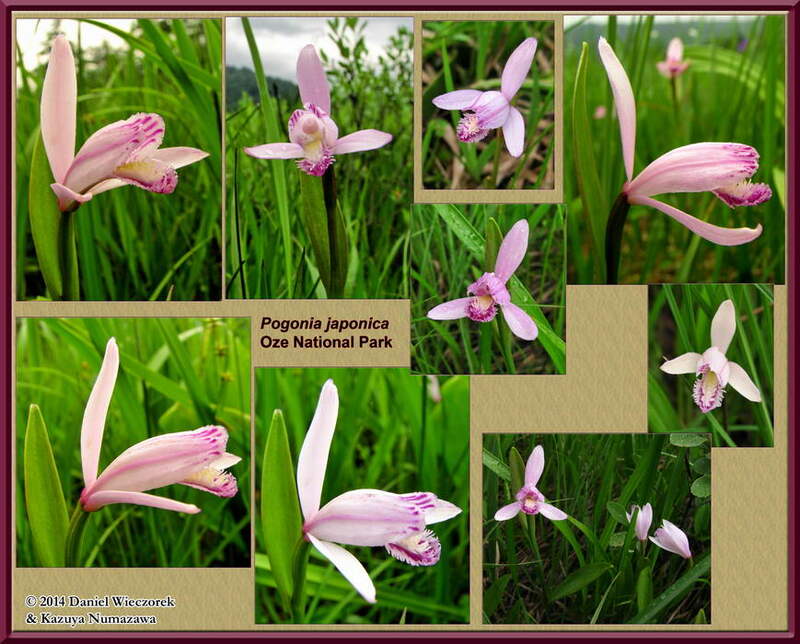 The 3rd shot gives you an idea of how abundant the Pogonia japonica orchids were in some places. 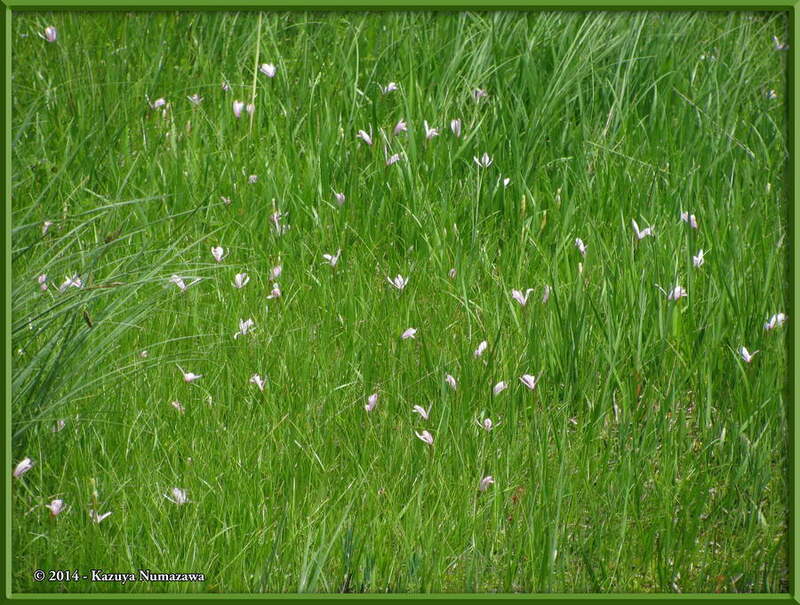 Every one of those flowers is a Pogonia japonica! Well, obviously the first 2 shots in this row were taken specifically for the reflections in the water. The center image was Tone-Mapped from 3 exposure-bracketed photos, using the Details Enhancer option of Photomatix Pro. 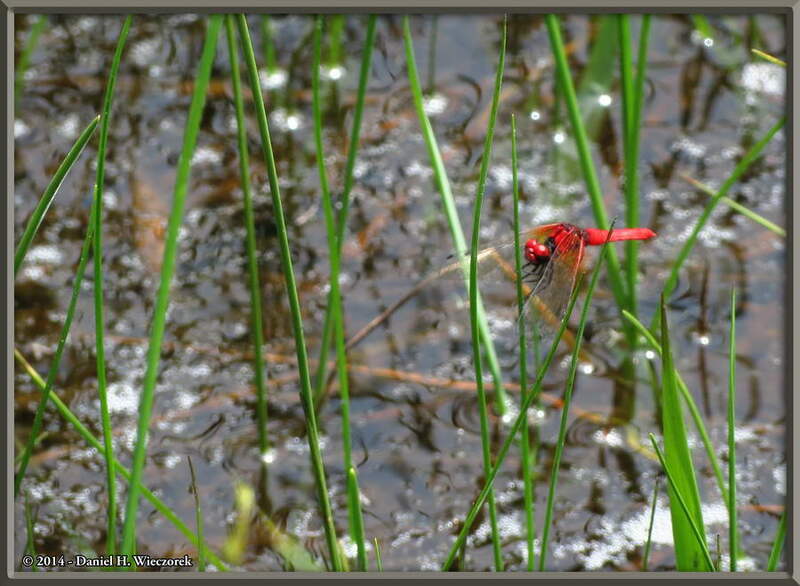 The third shot is a red dragonfly (Nannophya pygmaea); we'll show you one additional shot of this insect on page 2 in Row 7. 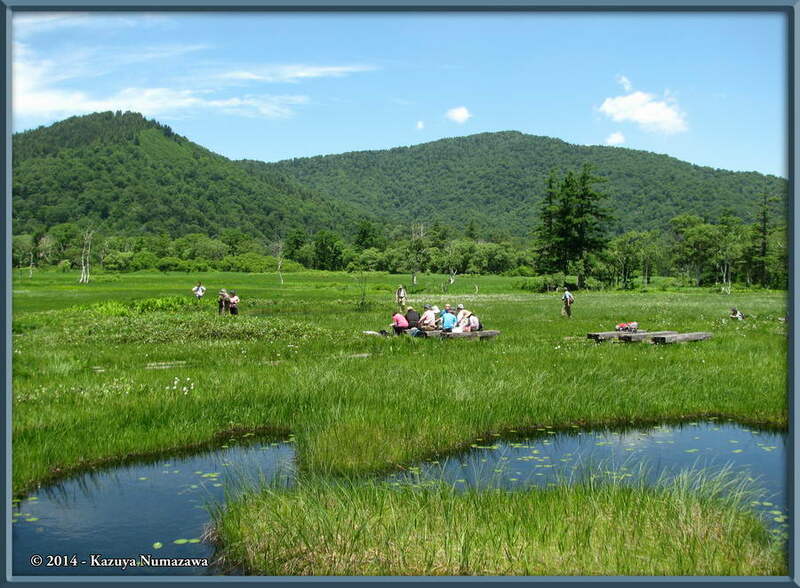 The first shot here shows the marsh, the boardwalk, the crowd of people and Mt. Shibutsu. 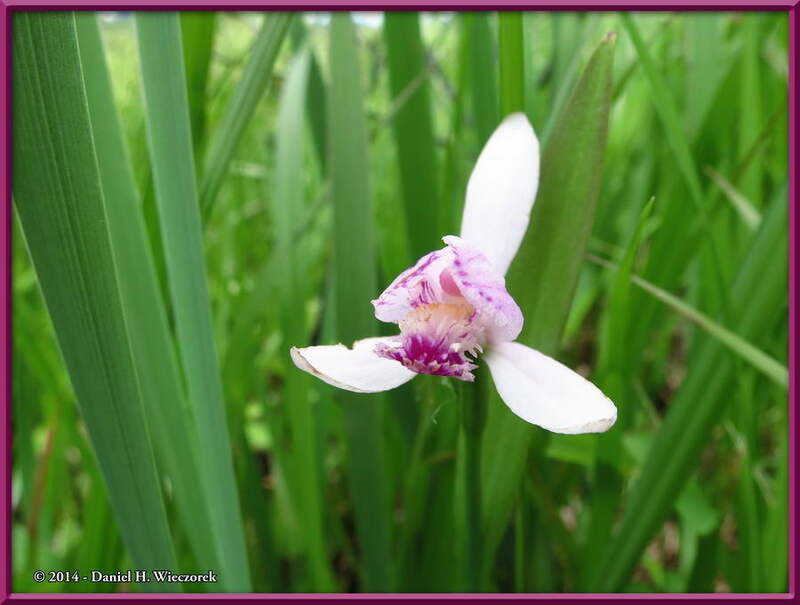 The 2nd shot shows a Pogonia japonica orchid and the 3rd shot is looking the other direction and shows Mt. Hiuchigatake along with some guy who is, apparently dancing his way down the boardwalk. 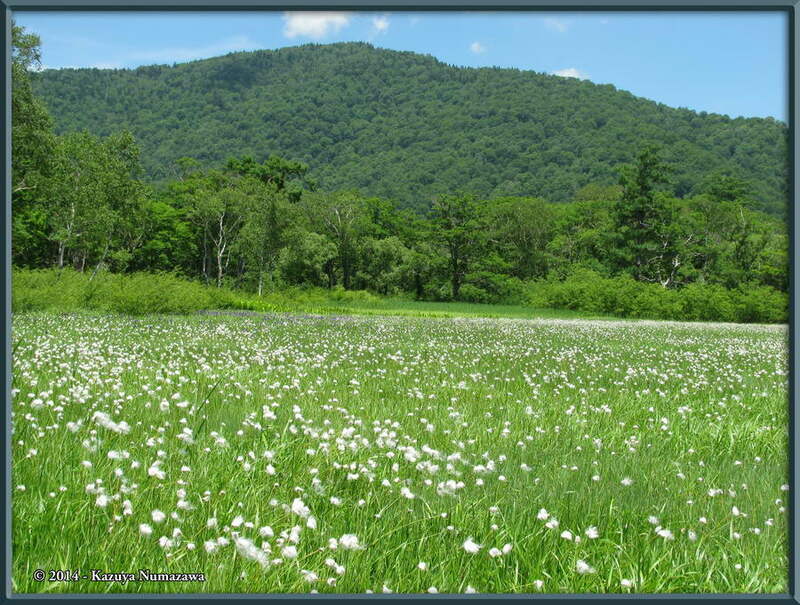 Here is a nice low level shot which shows Mt. 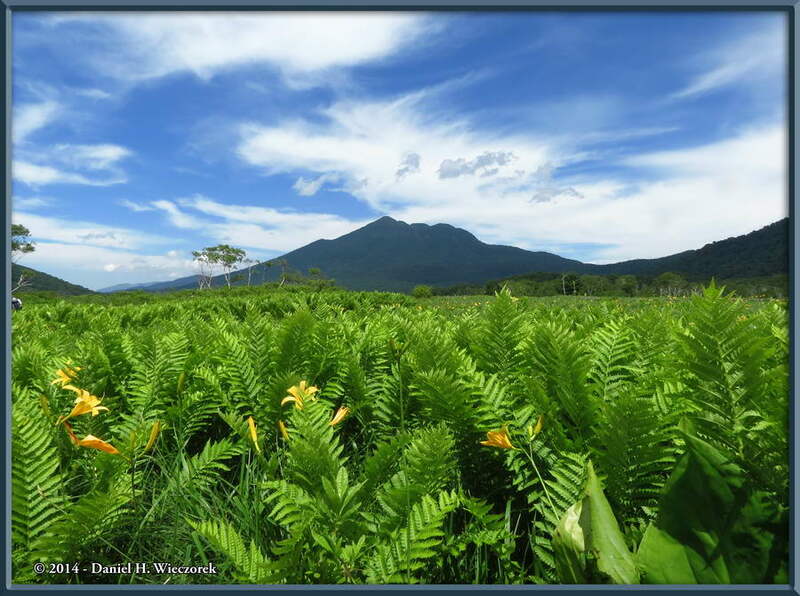 Hiuchigatake, some nice ferns and some beautiful clouds. 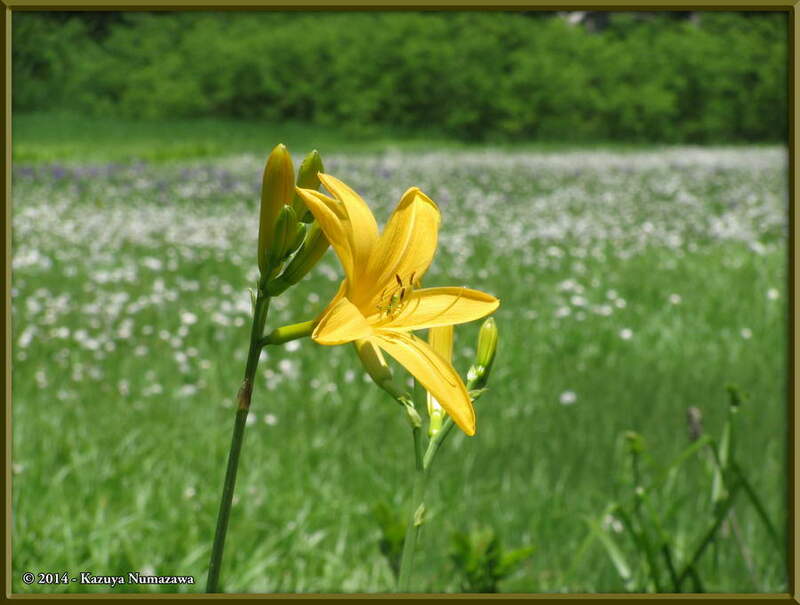 The center shot is of Hemerocallis dumortieri var. esculenta, a lily, growing between the 2 lanes of the boardwalk. The 3rd shot again shows Mt. 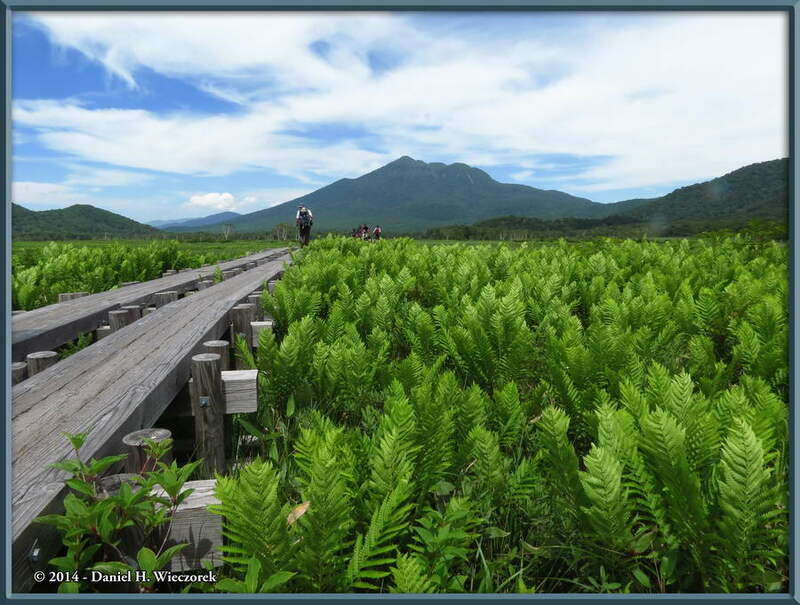 Hiuchigatake, ferns and beautiful clouds. 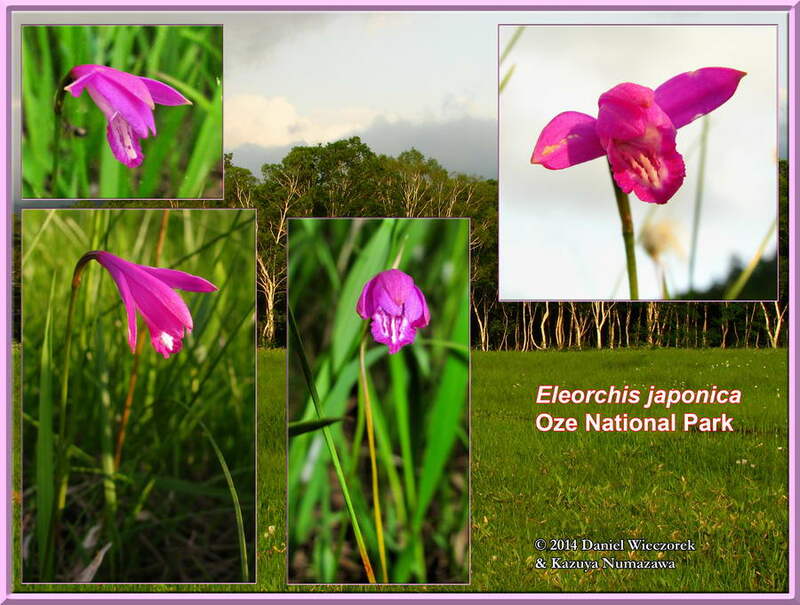 Here are 2 collages which show the astounding beauty of the Eleorchis japonica orchid. We built these 2 collages back in 2010 and have shown them to you a few times previously. 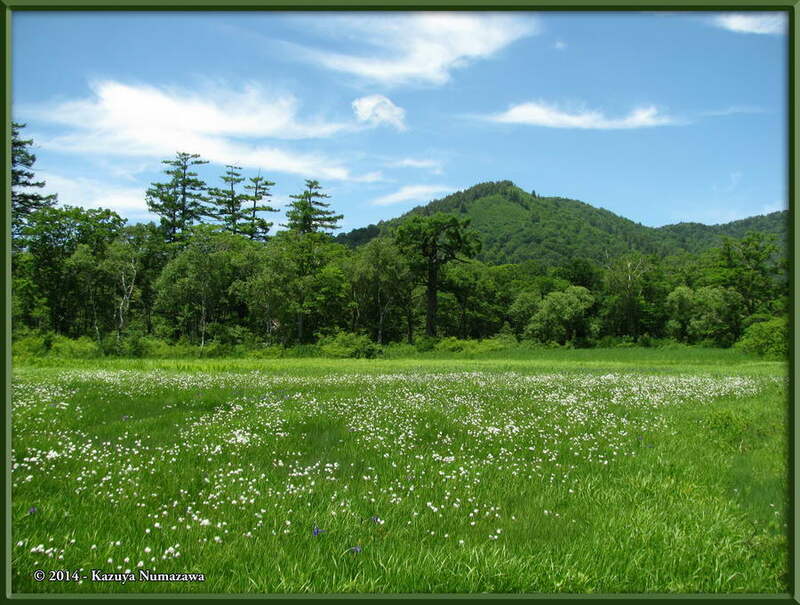 The second one is also featured in our Climbing a Few of Japan's 100 Famous Mountains - Volume 7: Mt. Shibutsu book on page 58. 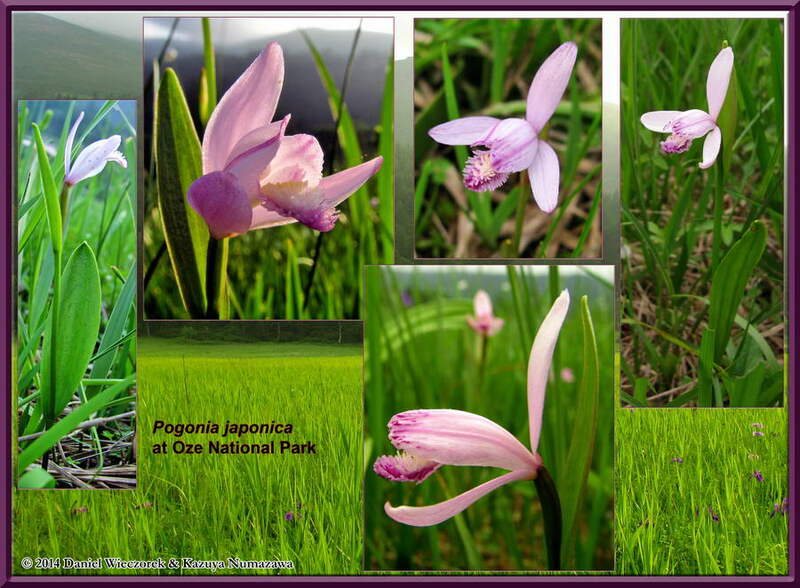 And here are 2 collages which show the amazing beauty of the Pogonia japonica orchid. We built these 2 collages back in 2010 and have shown them to you a few times previously. 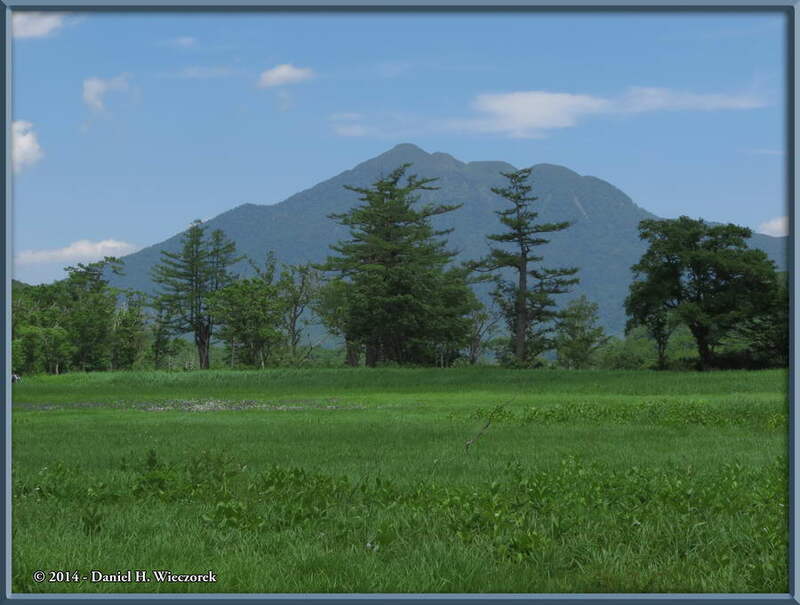 A portion of the first one is also featured in our Climbing a Few of Japan's 100 Famous Mountains - Volume 7: Mt. Shibutsu book on page 57. Here is a smaller version of the map to which we linked to in the Row Text way up in Row 1. If you have not yet looked at the map, then you have no idea where anything is in relation to the other stuff, sorry.